Originating from London in the United Kingdom in the 1990s, Belushi’s has expanded into Europe and provides an international scene for a bar, restaurant and live sports action from big screen TVs, through to a nightclub, yet they also run the St Christopher backpacker hostels, which are now in two locations in Paris where budget accommodation, meals and drinks are served. 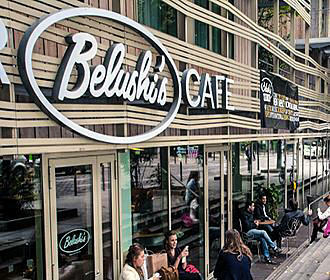 It was in 1993 that the first Belushi’s Bar opened in London followed by a backpacker hostel two years later and over the years they expanded, with other venues opening up in different cities within the United Kingdom, and also in Europe in places such as Amsterdam, Berlin, Barcelona and Paris. 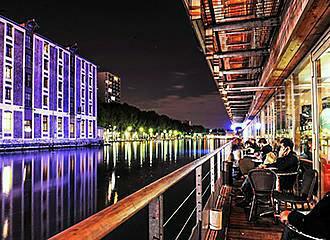 The first Belushi’s in Paris was opened right by the Canal de l’Ourcq and the historical Pont Levant de la Rue de Crimee in the 19th Arrondissement, which was followed five years later by the Belushi’s in Paris Gare du Nord that is located close to one of the busiest train stations in Paris in the 10th Arrondissement. And always with the same theme of being an international place to hang out, have a drink, party, watch live sports, get a cheap bed for the night or enjoy things such as their signature burgers and other comfort food, Bulishi’s is a place for the younger generation that come from all over the world. With multilingual party loving staff, you will find Belushi’s in Paris a great place to meet up with friends or make new ones, as it is a bar that serves reasonably priced drinks including beers and cocktails along with happy hours. Yet if you are into sports, whether it be the FA Cup, the Premier League, Rugby League, basketball, ice hockey, boxing, etc, international sports are always playing on the large screen TVs and projectors in a buzzing and exciting atmosphere where you never have to miss a game. However, they also have a nightclub with local and international DJs mixing the latest sounds through to live music events, and for those of you that want to party until dawn, the basement of Belushi’s is where the action is until 5am. Then you could always crash at the St Christophers, which is their sister company offering hostel accommodation located above the bars and restaurants. When it comes to the food on offer, whether you have stayed in the hostel and want breakfast, a bar snack while watching the sports action or a full meal to keep you going after visiting numerous tourist attractions in Paris, the cuisine at the Belushi’s restaurant provides comfort food at a reasonable price to suit any budget. There is a specific menu for breakfast served daily from 9am until noon, which includes delights such as the aptly named Recover Roll, which is oven baked and stuffed with fried egg, bacon and BBQ sauce or a stack of American style pancakes. Alternatively you could opt for a typical English style breakfast called The Resurrection, which you can read about below, and breakfast at Belushi’s ranges in cost from €6 to €10. This cafe restaurant in Paris also offer bar snacks ranging in price from €3 to €9 as of 2015 and could things such as chips, southern fried chicken wings, vegetable spring rolls, etc. Yet for €15 you could opt for the Belushi’s Touring Platter, which consists of BBQ wings, onion rings, spicy cajun wedges, a selection of sauces, etc, or 1kg of Chicken Wings smothered in a sauce of your choice with a cool ranch dip and carrot sticks. But if a kilo is too much and you don’t want to share, you can opt for a half kilo for €8 as of 2015. Other delights on the menu include salads and wraps from €8 to €10 including vegetarian options along with main dishes such as fish fried in beer batter, and chips with tartare sauce for €13 or rib eye steak grilled to your liking served with a peppercorn sauce, salad and fries for €15. They also have a dish known as The Resurrection with bacon, sausage, two eggs, a thick toasted roll, grilled mushrooms, baked beans and hash browns for only €10 as of 2015. However, one of the signature meals at the Belushi’s restaurant are the different burgers they offer, which are 100 percent beef or fresh chicken and all come with lettuce, tomato, red onion and served with pickle and fries, there is also the option of a veggie burger, and these range in cost from €11 to €14 as of 2015. And the ultimate is what they class as the Aussie Works Burger with melted cheese, crispy bacon, grilled pineapple, beetroot and fried egg in addition to the above within it and its accompaniments. You will find the Belushi’s in Paris - Canal bar open from 7am through to 2am seven days a week, whereas the Gare du Nord venue bar is open from 10am through to 2am, yet with the breakfast menu being served from 9am to noon, and the nightclub is open on a Wednesday to Saturday from around midnight through to 5am. 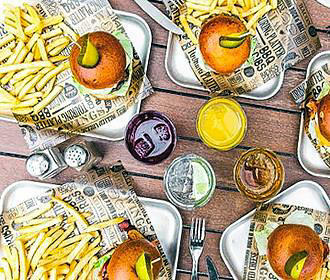 You will find different themed events and special offers that take place on certain nights of the week, for instance, on a Tuesday they offer a beer and burger for €10 between the hours of midday and 5pm. 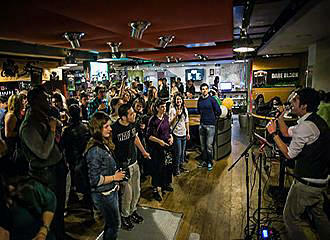 An Open Mic event is organised on a Sunday at the Belushi’s in Paris - Canal, and on a Wednesday at the Belushi’s in Paris Gare du Nord, but every Friday and Saturday night from 9pm there are live music events organised at both places. Now when it comes to getting to these venues for eating and entertainment in Paris, as we mentioned earlier, the Belushi’s Canal is located in the 19th Arrondissement, and the nearest Metro station is the Riquet stop serving line 7. However, the Belusi’s Gare du Nord is located in the 10th Arrondissement with the nearest stop being the Gare du Nord that serves lines 4 and 5 of the Metro along with the RER trains on lines B and D.